Taste test: These wide-ripped chips were very crisp and had a very good crunch. 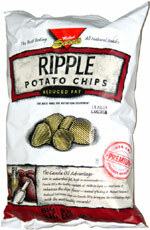 The taste was good, but it wasn't as strong of a taste as you get with some ripple chips. Based on what it said on the label about canola oil, this could be because you're tasting just the chip and not the oil. Smell test: Not all that potatoey, but not oily either, so not bad. 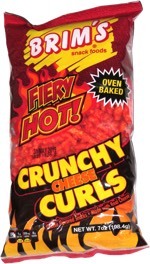 This snack was discovered by Theo. Review published .